Jenna & Ryan's wedding celebration was one of a kind! 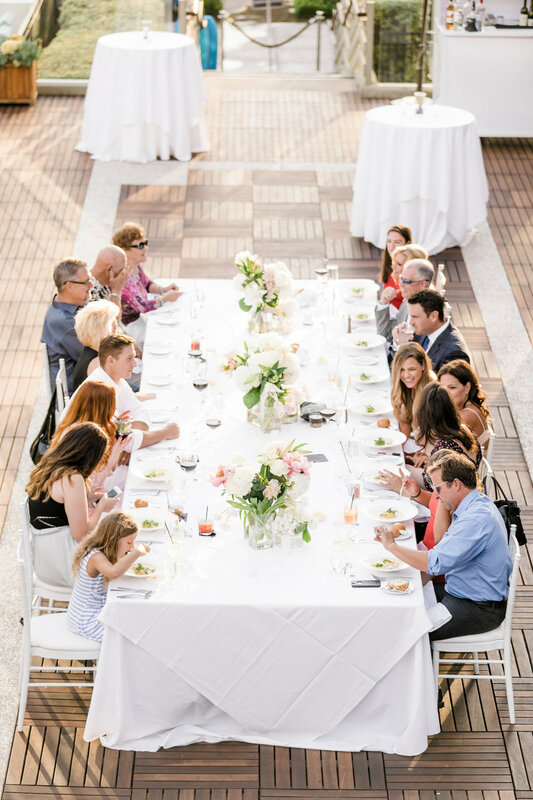 The couple wanted to keep their dinner reception intimate and only invited their closest family and friends. We loved how Jenna wanted to keep the decor simple and sweet. Can we also talk about how perfect their backdrop was for dinner? The ocean sunset at L'Auberge that night was absolutely stunning! The beautiful newlyweds celebrated with their loved ones and the joy that filled the night was a true reminder of why we love what we do! Check out more of the details captured by Lindsey Marie Photography.